Saba is a child of nature. Her Muslim mother, Meher, has had accidents in life, the first of which is finding a lover in a man whose religion she does not know and then falling into the steep space at the edge of the river with him, in heavy rain, where there is scarcely space enough for the two to stand; they couple together as though driven into the act by Nature. But then, Meher’s lover is forced into marrying his neighbour, the wily, Mohini who falsely accuses him of having used her, when she is with someone else’s child. Meher and Saba live in seclusion, hiding from people as much as is possible. 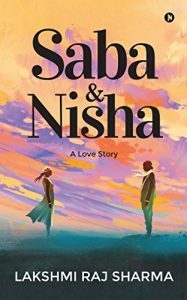 Saba joins an English course at the Allahabad University where she finds a companion in Nisha. The two girls are poles apart. Saba is all grace and concern; Nisha self-centred and fashionable. In the university bank the two girls are brought face to face with the dashing Rahul, who has a blackout and faints. Saba helps him and thus begins the story of how the two begin to like the same man. It is here that the love story begins and proceeds to the point where Rahul finally manages to get one of them through a series of events that make this novella a literary thriller.